It’s hard to imagine New York City without its streets overflowing with people, but this “home video” we’ve uncovered from 1968 gives us an incredible look at the city during one of its most transformative periods. Although the video quality isn’t all that great—the guy or gal filming this is using ’60s technology, after all—the footage captured is pretty stellar nonetheless. 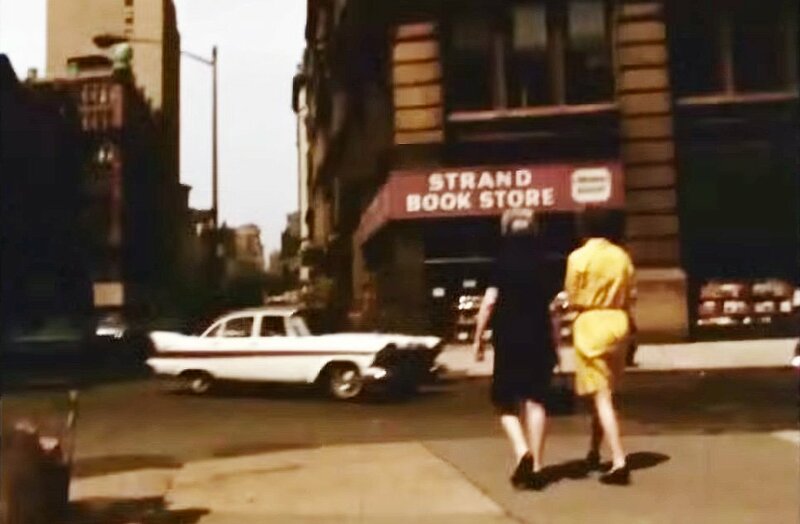 Expect to see a near-desolate Soho, a Strand bookstore that amazingly looks exactly like it does today, and a lot of tucked shirts and knee-length skirts. Though there aren’t any protesting hippies or riots in the near-30-minute video, there are signs of the politically contentious times, including a couple of poster boards urging citizens to join the U.S. Marines and Army. Starting at the Brooklyn Bridge, going up Broadway, and ending at the lake in a very crowded Central Park, you won’t want to miss a second of this fantastic film. Very interesting to see this old footage. I’m most interested in the music, though. Who composed it? it is available for use by other filmmakers? Not the vibrant 60’s New York I knew & explored & loved….